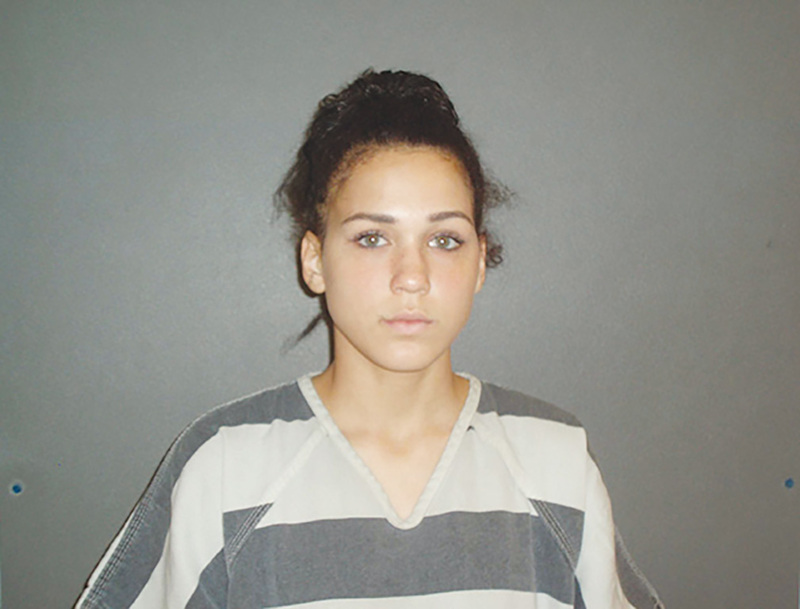 CROCKETT – A Crockett woman was arrested by the Houston County Sheriff’s office on Thursday, May 11 in regards to an investigation into the injury of the woman’s infant son in April. Allison Ann-Ashley Carden, 18, was charged with reckless injury to a child causing serious bodily injury. HCSO investigator Lorenzo Simpson was dispatched to meet Child Protective Services special investigator Sarah Mill in reference to an injury to a child investigation at 612 Sherwood Dr. in Kennard on Monday, April 17, an affidavit of probable cause said. After arriving at the scene, Simpson and Miller met with the parents, the mother was identified as Carden, of the injured child, the affidavit said. The four-month-old child suffered from a broken bone in the upper part of his right arm, according to the probable cause document. Simpson then interviewed Carden and the father about the injury to the child’s arm. “Carden, during a written statement and an audio/video recorded interview, apologized and confessed to being the person who broke her sons arm,” according to the probable cause document. Carden stated that the child awakened and began crying in between 7 a.m. and 8 a.m. on Thursday, April 13, according to the probable cause document. Carden stated that she got out of bed to feed the child and went back to bed before the child awakened and started crying again, the report said. In her confession, Carden stated that she did not mean to hurt the child’s arm and that it was an accident brought on by fatigue, the report stated. “Carden stated that she was very sleepy and tired from staying awake all night playing video games with (the father) and smoking marijuana earlier that night,” according to the probable cause document. The HCSO and CPS launched an investigation to further determine the cause of the child’s injury. Carden was arrested at the conclusion of the investigation on Thursday, May 11. The reckless injury to a child causing serious bodily injury charge is considered a second degree felony. Carden’s bond was set at $20,000 for the charge of reckless injury to a child causing serious bodily injury. Carden bonded out on Thursday, May 11.